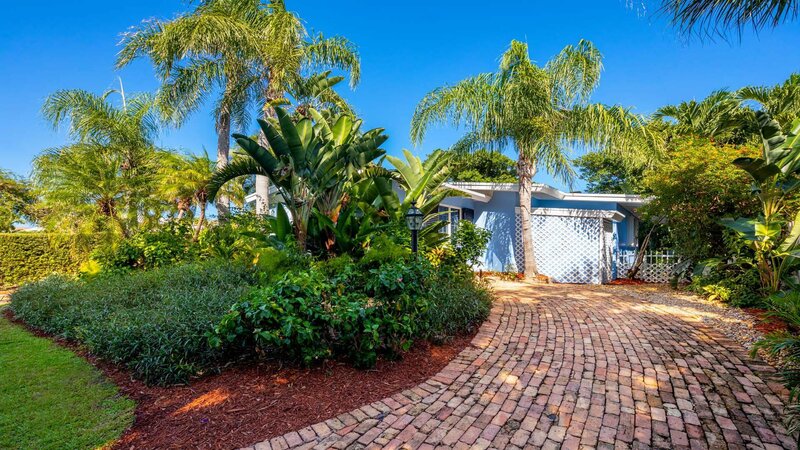 This charming 1950's polo cottage at 4225 North County Road in Gulf Stream, Florida offers a rare opportunity to enjoy seaside living at a great price. 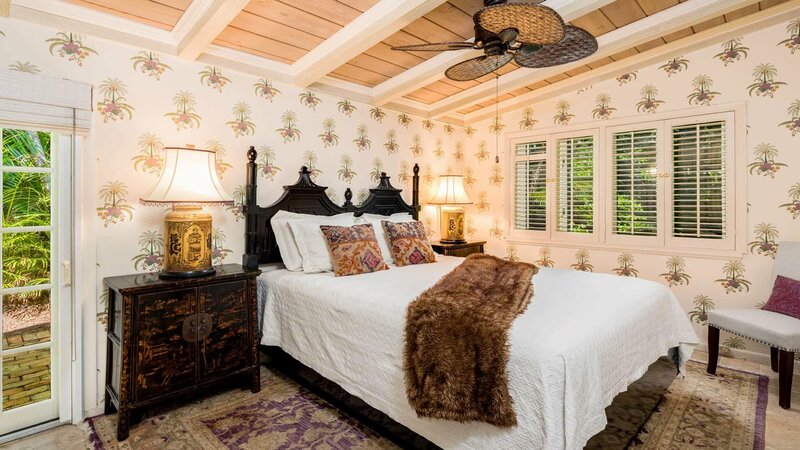 Professionally decorated by the owner, the two bedroom cottage has been lovingly maintained to showcase original features like vaulted ceilings with hand-painted beams and wood-burning fireplace. 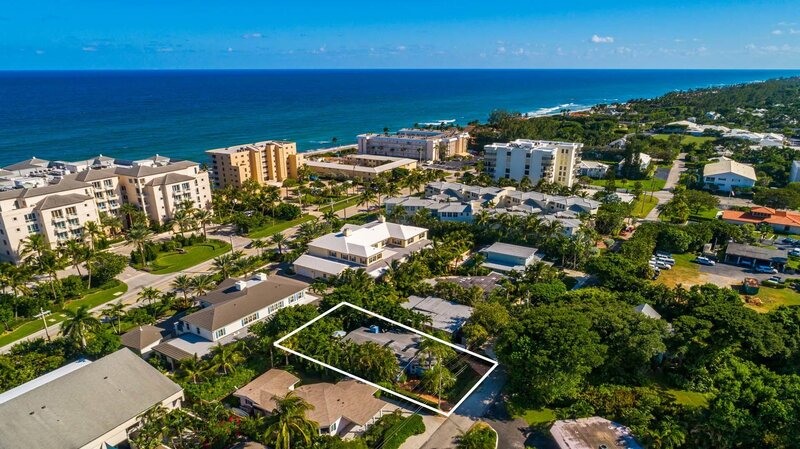 Tucked away on a quiet street with private beach access across the street, the home is a short distance via scenic A1A from Delray Beach and Palm Beach. The Chicago brick terraces and walkways provide a tranquil setting to enjoy outdoor lounging and dining. 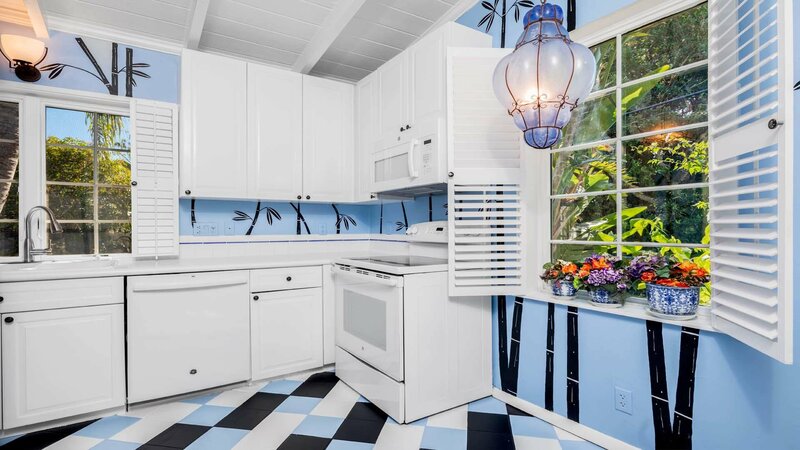 Offered at one of the lowest prices in the area, the vintage cottage invites year-round or seasonal living with the possibility of rental income. Come live the luxury lifestyle in Gulf Stream! 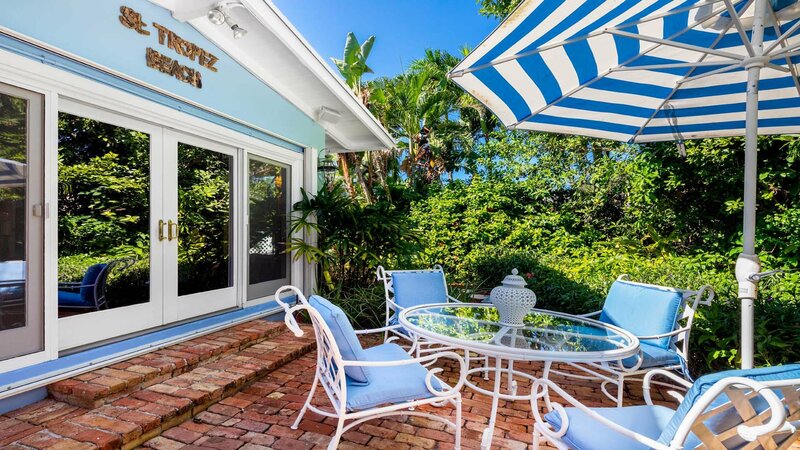 Rarely available, this vintage 1950's polo cottage provides the perfect opportunity to live in the Town of Gulf Stream amidst multi-million dollar estates. 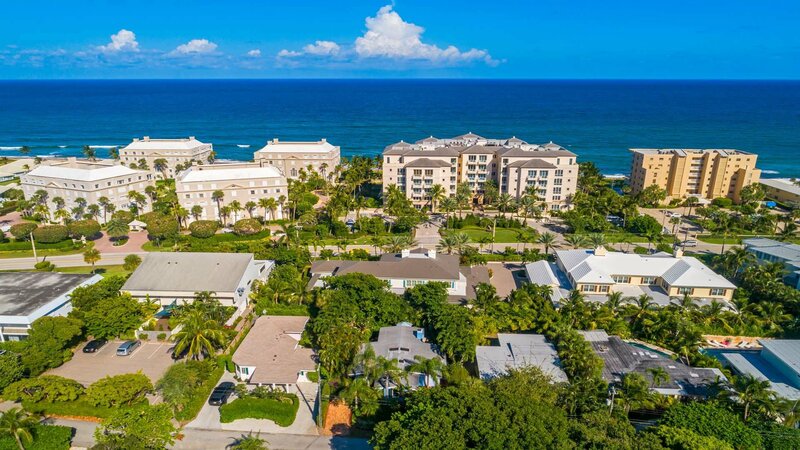 With private beach access across the street, the property has everything needed for enjoying the South Florida lifestyle. 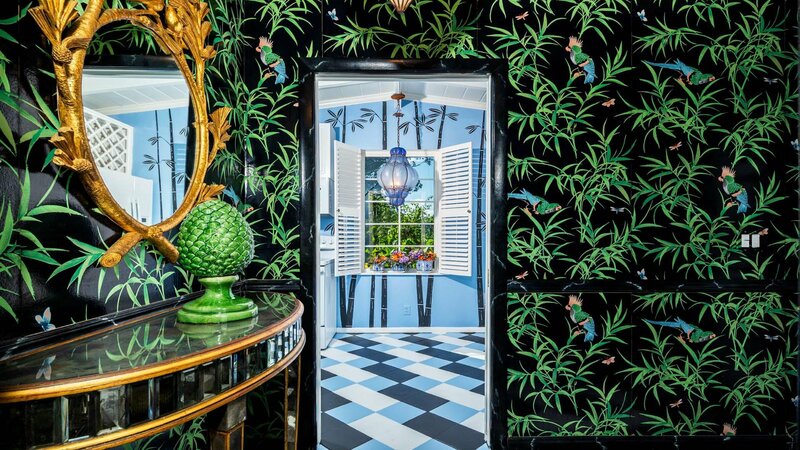 Thriving boutiques and eateries are just a short distance via A1A or Federal Highway. Private jetports and three international airports are easily accessed via Interstate 95. 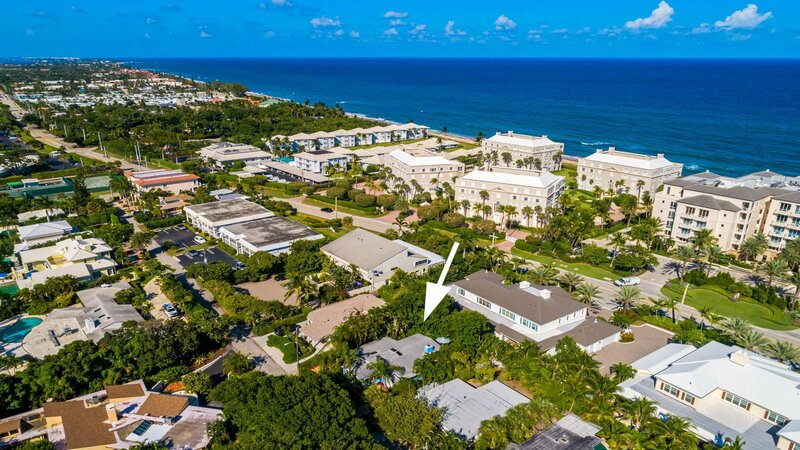 The pristine and private beaches of Gulf Stream, Gulf Stream School, Town Hall and Town Police Department are just a bike ride or golf cart drive away. 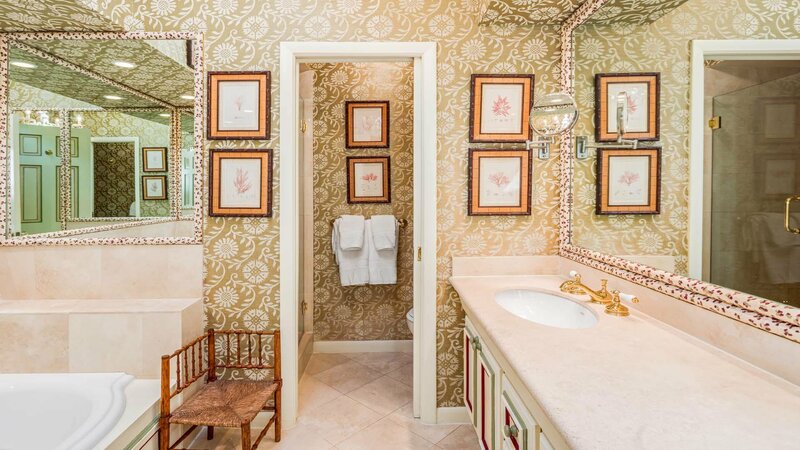 Lovingly decorated by the owner with unique finishes and touches throughout, the cottage features custom wallcoverings, hand-painted woodwork, paneled Florida room with built-ins and fireplace, vaulted wood beamed ceilings, three skylights, hardwood floors and original checkerboard marble floor foyer. The interior is light and bright thanks to brand new impact glass skylights and plenty of windows that overlook the inviting gardens. The residence offers a foyer entry with original checker board marble; bright kitchen; charming living room with dining area and hardwood floors; master bedroom with large walk-in closet and private bath with Jacuzzi tub and custom glass shower; guest bedroom with two closets and private bath; hallway with sitting area and laundry closet; and plenty of interior and exterior storage areas. 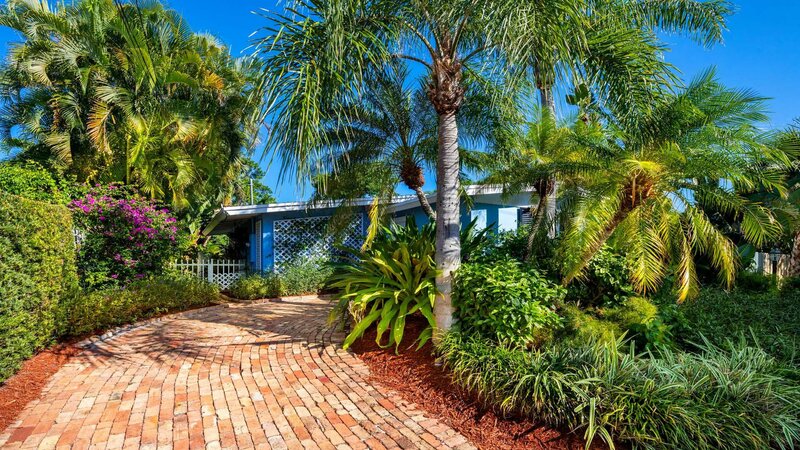 Perfectly nestled on a hill amongst tropical landscape and lighting, the cottage has two Chicago brick driveways with walking paths leading to the north and south property fences and the serene terraces beyond. With several access points, the Chicago brick terraces provide the perfect setting for outdoor dining, lounging and entertaining. Want to add a pool or more square footage to the cottage? 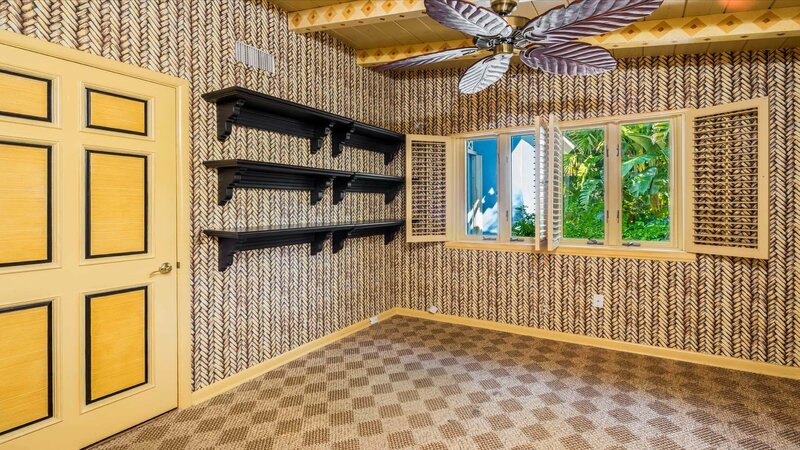 Not a problem; there is room to add a pool, third bedroom on ground level, or explore the option of a second story. 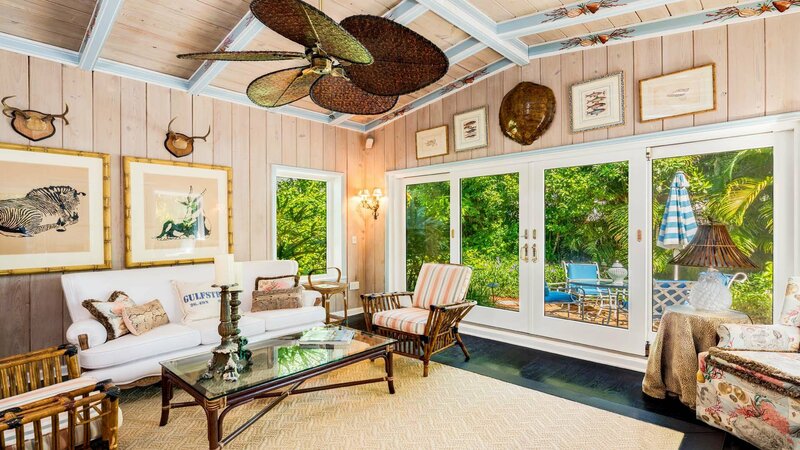 This vintage polo cottage offers endless possibilities including year-round living, seasonal visits, rental potential and more. 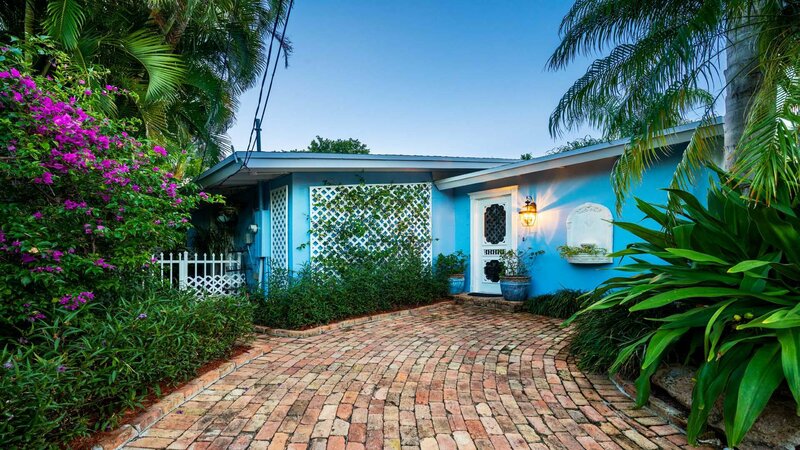 Priced to sell, this delightful property will not last long!